Soccer is growing into quite a popular sport throughout the United States thanks to the efforts of Major League Soccer and the triumphs of the US Men’s and Women’s National teams. As such, it’s no wonder why many schools are investing in their soccer programs and soccer fields. Your school may have even decided to invest in an artificial grass soccer field and recently had it installed. It isn’t uncommon for schools to transition to artificial grass fields. After all, artificial grass requires less maintenance than natural grass. Over the course of a year, a school can save thousands of dollars on water and maintenance costs. In fact, this is likely one of the driving forces behind your school’s decision to switch to an artificial grass playing field. One of the major changes your players will need to make is their footwear. Playing on artificial turf requires the use of a different set of soccer shoes. In particular, your players will need shoes that feature dense and shallow treads that help the shoes cling to the surface of synthetic grass. Many athletic stores carry soccer shoes designed for use on artificial grass fields. You may want to schedule a trip to one of these stores in place of your usual practice session so the entire team can bond over buying new shoes. Playing on artificial turf is an entirely different experience. When combined with an entirely different pair of soccer shoes, some of your players may find it difficult to keep their footing during the first few hours of training. Try to keep your practices light to allow your players to get used to how artificial grass gives way at their feet. As they get used to it, you can slightly raise the intensity of your practices until your get back to your regular training sessions. Whether it’s for practice or an official match, make sure that you hose down the field thoroughly prior to using it. Artificial turf tends to absorb and retain heat, which can be a little uncomfortable for the players. 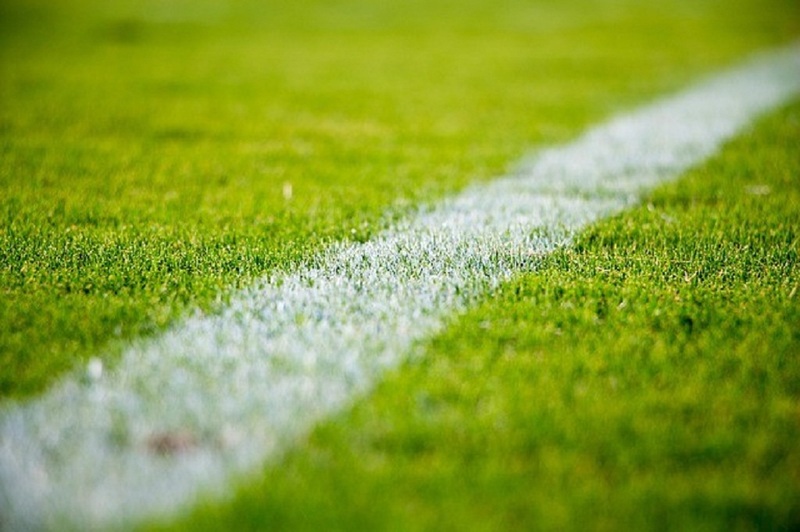 An experienced installer, like Synthetic Grass DFW, will make sure your artificial grass soccer field is properly equipped with a robust drainage system so you don’t have to worry about any issues with puddles come game time. This may not exactly benefit your team, but this is a matter of sportsmanship and the safety of all parties. As the coach, it is also your responsibility to inform any visiting teams ahead of time that your school has transitioned to an artificial grass field. This way, the visiting team can have their players bring the right soccer shoes to the game.